Strategist for Coaches and is pretty awesome. "Your Irresistible Coaching Packages - How to Package & Price for Profit to Make it Easy for Potential Clients to Say YES!" Ready to learn some great strategies to generate more coaching clients? If you're not confident with your coaching packages, you may be repelling clients!!! My friend George Ira Carroll will be helping you create coaching packages that damn near sell themselves. It's this Tuesday, the 18th at 11:00am PT: http://bit.ly/GICBadassEvent. Click the link to learn more about how you can create a more sustainable business model through pricing for profit, while becoming more of a client magnet…and who doesn't want more clients? 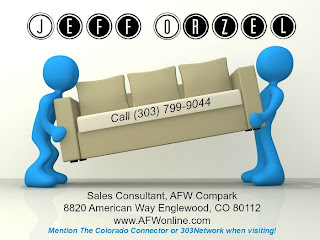 F|RE|E Marketing Class-Show Taping | Stop Making Friends and Start Making Money! Successful networking is an art and the single most cost effective marketing plan you have for your business. Join Tara and I this month at the live taping of our internet show where we’re going to reveal all the tips, tools, and strategies that we used to grow a massive 500K plus contact pool online and over 20K real-life connections. PLUS you’ll get to pick our brains for all of your networking questions! 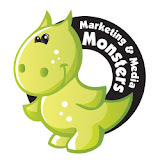 Just reserve your seat at http://mandmmonsters.com/free-marketing-training-june-18th-networking-marketing/ to join us – then plan to stay after to practice what you’ve learned at the 303Network After hours immediately following!